Leading families through the Bible in three years is a breeze with the easy-to-follow FaithWeaver NOW Teacher Guide. 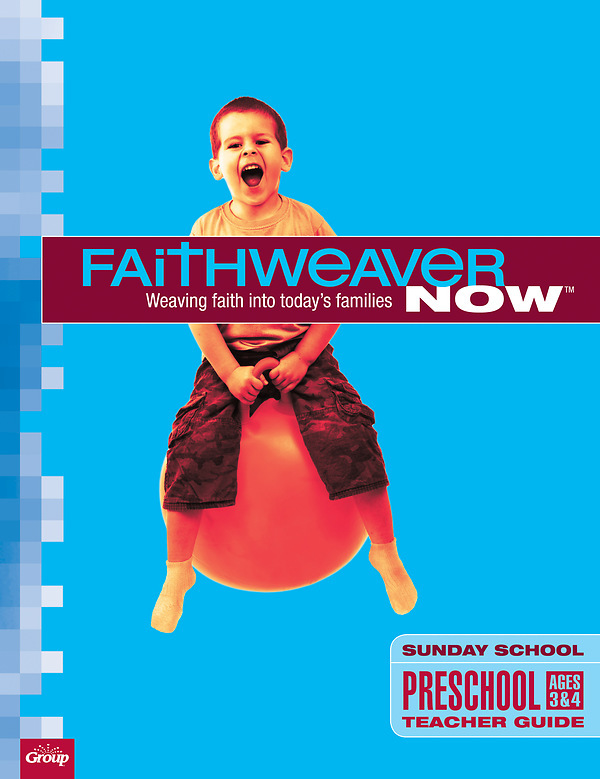 Preschool Quarterly Teacher Guides equip you to lead memorable, life-changing lessons. Age-Level Insights help you understand children's developmental stages—and relate to them more easily! Flexible for Time & Space Needs—Optional Activities give you instant flexibility and control. Bible Background for Leaders includes The Jesus Connection and provides you with the opportunity to write your own special prayer each week. You’ll also have access to a FREE digital copy of this Teacher Guide in Word and PDF format. You can customize the Word documents so that any lesson fits the needs of your ministry. Sharing lessons with busy volunteers couldn’t be easier! One Teacher Guide is included in the Teacher Pack! Get extras when you have more than one teacher per group.